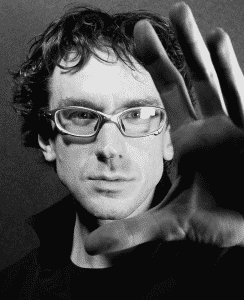 CEO & Medical Illustrator, Embodied Labs, Inc.
Pablos Holman is a notorious hacker, inventor, entrepreneur and technology futurist who looks at the world differently than most, and is on a quest to solve the world’s problems through the innovation of technology. At the Intellectual Ventures Lab, he has worked on a brain surgery tool, a machine to suppress hurricanes, a self-sterilizing elevator button, a cure for cancer, a gun that shoots laser beams at malaria-carrying mosquitos, and 3D food printers. Pablos has a unique ability to articulate practical visions for the future of technology. He has contributed to visions for the future of urban transportation, entertainment, education, health care, food delivery, sensor networks, payment systems & cloud computing. Previously, Pablos helped build spaceships; the world’s smallest PC; artificial intelligence agent systems; and the Hackerbot, a robot that can steal passwords on a Wi-Fi network. He is a world-renowned expert in the fast moving 3D printing space, and is currently working on printing the food of the future among other things. Hackers have minds that are optimized for discovery – violating warranties and our instinct about what is possible with new technologies. Hackers are like scientists, but without all the formal training and accountability that could slow them down. This discovery process is fundamental to invention. We need to rescue hackers from the computer security department and get them into product development. Pablos will discuss some of the invention projects under way at the Intellectual Ventures Lab, and their efforts to create an Invention Capital market. He will also be showing off some of the super powers that hackers possess, so leave your computers at home. Dr. David Rhew is the Chief Medical Officer (CMO) and Head of Healthcare and Fitness for Samsung Electronics of America. 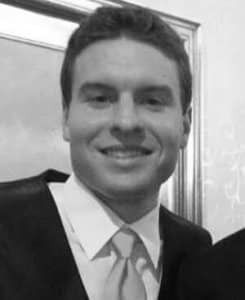 David received his Bachelors of Science degrees in computer science and cellular molecular biology from the University of Michigan. He received his MD degree from Northwestern University and completed internal medicine residency at Cedars-Sinai Medical Center. He completed fellowships in health services research at Cedars-Sinai Medical Center and infectious diseases at the University of California, Los Angeles. 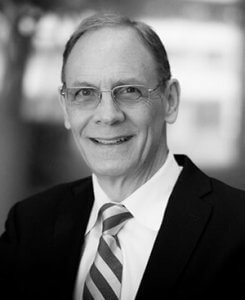 Dr. Rhew has served as CMO and Vice-President for Global Healthcare at Samsung SDS; Senior Vice-President and CMO at Zynx Health Incorporated; clinician/researcher in the Division of Infectious Diseases at the VA Greater Los Angeles Healthcare System; and Associate Clinical Professor of Medicine at UCLA. Dr. Rhew has served on the National Quality Forum’s (NQF) Steering Committee for Pulmonary and Critical Care quality indicators and is currently on the NQF Consensus Standards and Approval Committee. He co-holds six U.S. technology patents that enable the authoring, mapping, and integration of clinical decision support into the electronic health record. Dr. Rhew’s interests include measurably improving the quality, safety, and efficiency of patient care and applying technology to engage patients and consumers in their health. Robin Farmanfarmaian is an entrepreneur, founder, professional speaker and author working on companies in cutting edge tech poised to impact 100M people or more. Currently, Farmanfarmaian is an Investor and VP at Invicta Medical, a medical technology company for sleep apnea; VP of Actavalon, curing cancer; and Strategic Relations Advisor to MindMaze, VR for stroke and paralysis rehabilitation. A life long philanthropist and mentor, she is the Co-Founder and on the Board of Directors (formally Executive Director) for the Organ Preservation Alliance, catalyzing breakthroughs in organ banking for transplants and tissue engineering. Robin is on the advisory board of many startups and conferences, and mentors entrepreneurs. Previous work includes being one of the founders of Morfit, the Exponential Medicine conference, President at Innovation for Jobs, and a VP at Singularity University. Her book, “The Patient as CEO: How Technology Empowers the Healthcare Consumer”, is a #1 Best Seller on Amazon. 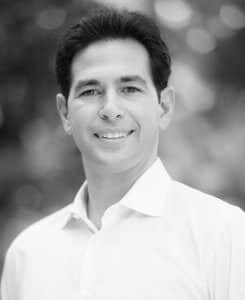 Dr. Barad is a practicing pediatric orthopaedic surgeon with a Bioengineering degree from UC Berkeley, and an MD from UCLA where he graduated first in his class. He completed his residency at UCLA and his fellowship in pediatric orthopaedics at Harvard and Boston Children's Hospital. He is the co-founder and CEO of Osso VR, an award-winning surgical training platform. Since 2006 he has been an editor and contributor to medGadget, a popular medical technology news site. Dr. Barad has been featured at multiple premier conferences including the CES digital health summit, exponential medicine, the GPU Tech Conference Early Company Summit, and USC's Body Computing Conference. Bryan has more than 20 years of experience in healthcare analytics and digital technology particularly in working with payers, providers, pharma, PBM's, oncology, workers' compensation, eHealth, mHealth, devices, services, disease management and wellness. Bryan uses his expertise in the application of predictive analytics and modeling, decision support systems, population segmentation and related strategies to solve business problems for Fitbit Health Solutions geared toward population health and consumer activation. Bryan is also responsible for the health systems work within Fitbit Health Solutions in applying Fitbit activity trackers in clinical settings. Osamah Choudhry is co-founder and CEO of MediVis, the mixed-reality medical company. 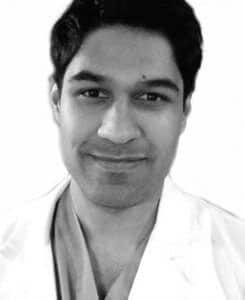 He works as a senior resident in neurosurgery at NYU Langone Medical Center. Dr. Choudhry obtained his medical degree with distinction from Rutgers University. He has published over 40 research articles in the medical literature on neurosurgery and medical visualization. 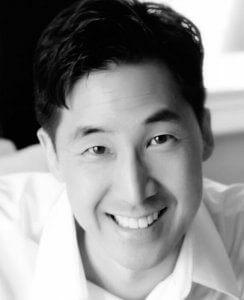 He completed his undergraduate studies at Rutgers University in 2009 as part of an accelerated BA/MD program. He then went on to complete his medical studies in 2012 at New Jersey Medical School where he was elected to the Alpha Omega Alpha Honor Society and Sigma Xi Research Honor Society. She has been extensively quoted in the press and TV such as Wall Street Journal, San Jose Mercury News, CNN, CNBC, BBC, Fierce Healthcare. India Today, Business Times etc. 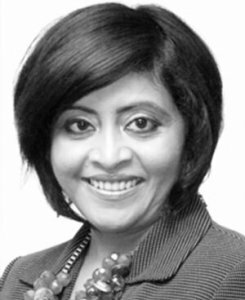 Ms. Das is currently working on implementing Growth and Leadership for Women (GLOW) within Frost and Sullivan, where she serves as the first woman partner in the company. Amy Dixon is a highly sought-after Expert Patient Advocate, Elite Paratriathlete, and motivational speaker, speaking on television and radio, and at seminars around the world on all subjects pertaining to the world of triumph over adversity, leadership, team work, rare disease management, patient advocacy, and how to achieve a full life despite devastating setbacks. Amy lost 98% of her sight due to a rare type of Uveitis (an inflammatory autoimmune eye disease), and now travels the world with her guide dog, Woodstock, by her side, speaking to groups about her passion for empowering patients to educate themselves in the face of illness and disease. Before becoming a professional athlete, Amy had a career as a Certified Wine Specialist from the Society of Wine Educators, with 20 years experience as a wine expert and educator, a graduate of the Dale Carnegie Institute for Public Speaking and Leadership. 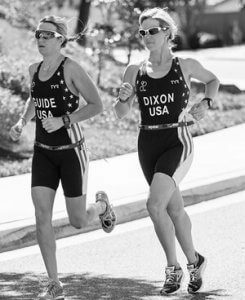 Amy was a 2016 USA Paratriathlon National Team Member, and is currently ranked 4th in the world in her sport of triathlon. She is training, racing and fundraising to make the US Team headed to the Tokyo Paralympics in 2020. 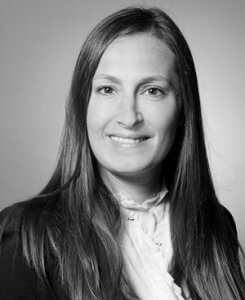 Amanda L. Goltz, MPA is the Vice President of Digital Innovation at BTG, a global medtech firm, managing the portfolio of digital initiatives combining clinical interventions, device technology, and digital services to incorporate the patient experience and improve measurable outcomes. Previously, Amanda was the Director of Product Strategy and Innovation at Aetna, sourcing emerging solutions from the digital health and innovative networks marketplace, pairing them with employer clients, and directing implementation of the solutions at scale. Amanda has also managed the Innovation and Consumer Engagement portfolio at Pacific Business Group on Health (PBGH), a coalition of 60 employers who collectively provide self-funded health coverage to over 10M employees and dependents at an annual cost of $12B. 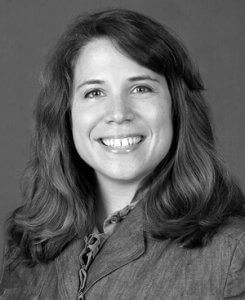 Prior to PBGH, Amanda was senior advisor to the national healthcare practice at Manatt Health Solutions. From 2005 to 2009, Amanda served as Program Director at Partners Healthcare, the integrated delivery network founded by Brigham and Women’s Hospital and Massachusetts General Hospital, managing a system-wide quality improvement initiatives. 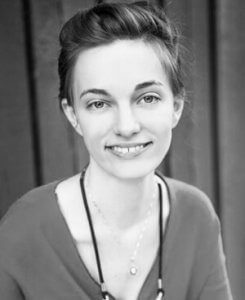 Amanda advises several start-up companies as a mentor at 500Startups, Rock Health, and StartXMed, health and life sciences incubator for Stanford University. Amanda received her MPA in Health Finance and Management from New York University and her BA from Columbia College of Columbia University. Rain has dedicated her career to helping communities, organizations and leaders at all levels to optimize and coordinate their efforts towards improving the lives of the most people possible. Her passion lies in utilizing her formal training in theory of change and movement building to leverage the most effective spheres of influence and foster systems thinking to solve complex problems. 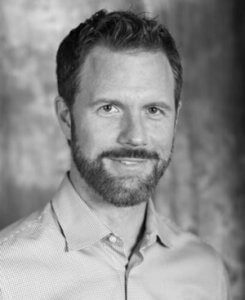 As the Founder of Elemental Advisors Rain helps organizations make meaningful change in the world with sound guidance and test strategies. Her work includes advising influential leaders and organizations in the private and social sectors on how to contribute to the health and well-being others using market structures and aggressive metrics to achieve systems change. Most recently as the Chief Executive Officer of the Clinton Health Matters Initiative (CHMI) at the Clinton Foundation, Rain led the Foundation’s largest domestic initiative aimed at improving the well-being of all United States citizens and reducing the prevalence of chronic disease. There she led the cultivation of $200+ million in strategic investments from Fortune 500s and NGOs, projected to improve the health of 1 in 6 Americans; helped secure the Clinton Foundation’s landmark agreement to improve nutrition and beverage offerings with McDonald’s in 80% of global marketplace; and annually produced the Health Matters Summit Featuring President Clinton and prominent leaders, daily trending on Twitter, 30 million people in 50 states and 107 countries watching online, and significant media coverage. Previous leadership roles also include serving as the Senior Vice President of the Alliance for a Healthier Generation, a non-profit organization founded by the American Heart Association and the Clinton Foundation, Rain was instrumental in helping to build the organization from a blueprint to an award-winning non-profit with a presence in 50 states and a positive impact on the lives of over six million children. 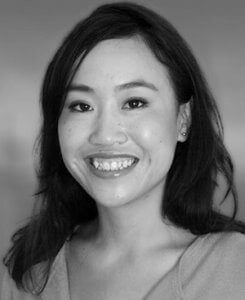 Jennifer Joe, MD, is a Harvard-affiliated Massachusetts General Hospital (MGH) and Brigham and Women’s Hospital (BWH) nephrology graduate turned physician entrepreneur CEO and Founder of Medstro.com, a new and innovative social network for physicians, whose clients include The NEJM Group, Google, Boston Scientific, Philips, and Anthem, among others. She is also Editor-in-Chief and Founder of MedTechBoston.com. Dr. Joe believes that healthcare is actively being disrupted like never before--with patient advocacy, patient-centered care, team-based care, technology, wearables, sensors, big data, and usability— drastically changing what healthcare will look like in the next 5 years. Because of her insights and expertise, Dr. Joe has been invited to speak, mentor, or judge at over 25 local, national, and international events in the last two years, including South by Southwest Interactive, Google, the Massachusetts Medical Society, IN3 Medical Device 360, the International Society of Wearable Technology in Healthcare, athenahealth More Disruption Please Annual Hackathon, MassTLC, the Office of the National Coordinator for Health Information Technology (ONC) Market R&D Challenge, the Federation of State Medical Boards, Partners World Medical Innovation Forum, MATTER Chicago, and Health 2.0. 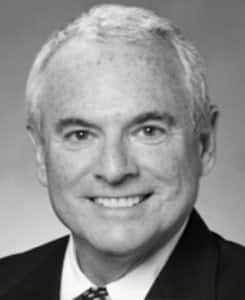 Scott Kaiser, MD, is a practicing geriatrician and Chief Innovation Officer at MPTF (Motion Picture & Television Fund), which provides services, support and assistance to the entertainment industry community. In this role, Dr. Kaiser leads efforts to improve population health and well-being through social and community-based interventions. 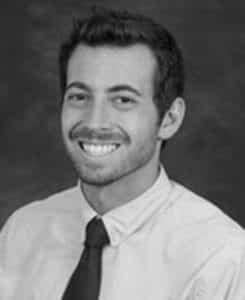 A graduate of the Keck School of Medicine of USC, Dr. Kaiser trained within the Lawrence Family Medicine Residency, Harvard Geriatric Medicine Fellowship, and UCLA Health Services Research Fellowship—where he served as a Health Media Fellow. Dr. Kaiser leverages his expertise to tirelessly advocate for the improvement of aging services and geriatric care. He believes in looking beyond “healthcare” to meet people where they are and where health happens: in their daily lives, with their friends and families, in their communities. Nikhil is a research analyst at CB Insights. He focuses on Healthcare, Consumer Packaged Goods, Industrials, and VC Trends. Published research and data analysis have been featured in The New York Times, Wall Street Journal, Financial Times, Bloomberg, and CNBC, among other major media outlets. Sean McNamara, Manager of Health Partnerships at Garmin has spent the past few years in the healthcare and digital engagement platforms space. In his current role, Sean is responsible for managing partnerships for Garmin Health in the payer, provider, pharmaceutical, population health and clinical trials industries. Prior to managing Health Partnerships at Garmin, Sean has held leadership sales and marketing roles at healthcare engagement companies and consulting firms. Dr. Meyers’ primary research centers around biomedical and health innovation and entrepreneurship and life science technology commercialization. He consults with companies, governments, colleges and universities around the world seeking expertise and contacts in the areas of bio entrepreneurship, bioscience, healthcare, healthcare IT, medical tourism -- nationally and internationally, new product development, product design, and financing new ventures. He is a former Harvard-Macy fellow; in 2010 he completed a Fulbright at Kings Business, the commercialization office of technology transfer at Kings College in London. His publications this year include Building the Case for Biotechnology, Optical Detection of Cancer, and The Life Science Innovation Roadmap. Dr. Nova is currently the Chief Innovation Officer of Pathway Genomics, and was a founding team member of the company. He is the inventor of the Pathway-IBM/Watson Machine Learning A.I. mobile application: Panorama/OME; and the entire Wellness (Pathway FIT/Healthy Weight, SkinFIT), Cardiac and Mental Health line of genetic testing products for Pathway. Dr Nova has executed major corporate alliances with companies such as Medco/ESI, PepsiCo, DASA (Brazil), Biogenetika (Brazil), Achibadem (Turkey), IHH/Parkway (Singapore), IBM, Florida Hospital Group, Equinox Health, and many others. His scientific career began as a research associate at the Salk Institute in the laboratory of Nobel Laureate Roger Guillemin, where he studied the genetics and proteomics of human growth factors and cancers. Michael was previously the founder and CEO of Discovery Partners Inc. (Nasdaq: DPII), which completed a successful $150M IPO and marketed wireless drug discovery technology and radiofrequency combinatorial chemistry to large pharmaceutical companies. Intellectual property developed by Dr. Nova at DPII included the original “barcode on bead” patents used by many diagnostic and DNA companies. 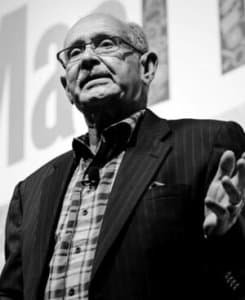 He then founded the wireless sensory network company Graviton, where he was responsible for raising $60 million in capital from venture groups such as Kleiner Perkins, InQtel and large corporations such as Motorola and Qualcomm. Dr. Nova is also the 2005 World Economic Forum (WEF) Technology Pioneer Award Winner; and the physician of record on the first person ever to have their entire genome sequenced by Illumina (2009). He is a member of the IBM Watson Advisory Board, the Metagenics Scientific Advisory Board, the Salk Institute NeuroAI group, and the Longevity Org Advisory Board. Dr. Nova has over 30 issued, and 45 pending patents; and he has numerous publications in peer-reviewed journals. With degree’s in Biochemistry, Physics/Computer Science, and Medicine, Dr. Nova is a Board-certified Dermatologist and Dermatopathologist licensed in California. In his minimal spare time, Michael likes to surf big waves in Indonesia and Mexico, and he also helped build a WHO-sanctioned basic care clinic in the Fijian town of Nabila. Carrie Shaw is passionate about the art and science of human health. She’s turned that passion into a company, Embodied Labs, that is dedicated to teaching the health care providers, caregivers, and patients about human health through virtual reality storytelling. Embodied Labs envisions a world where healthcare providers and caregivers are empowered to provide better quality care to vulnerable patient populations by better understanding their first-person experiences. Carrie is no stranger to delivering healthcare information in unique ways. Following her graduation from the University of North Carolina at Chapel Hill with a B.S. in Public Health, Carrie joined the Peace Corps as a Health Education volunteer in the Dominican Republic, where she taught reproductive health to youth and worked as a medical translator. After serving in the Peace Corps, Carrie became a caregiver for her mother, who had early-onset Alzheimer’s disease, and wondered, “If I could somehow step into my mother’s shoes and learn about life with AD through her eyes, would that help me become a better and more empathetic caregiver?” That question, along with lasting lessons of her service in the Peace Corps, drove her to pursue her Masters of Science in Biomedical Visualization at the University of Illinois Chicago, where she met her fellow Embodied Labs co-founders. Embodied Labs’ work has been featured in Forbes, The History Channel, and The Journal of the American Medical Association, and the company was recently named one of five finalists in US Department of Education’s Ed Sim Challenge. Matthew Stoudt is a recovering investment banker, serial entrepreneur and the CEO and Co-Founder of appliedVR, the leading therapeutic VR platform in the US. appliedVR delivers non-pharmacological therapeutic alternatives to patients both in hospitals and at home via its VR Pharmacy. The company is partnered with 10 of the top 20 ranked hospitals (including the Mayo Clinic, Cedars-Sinai and NY-Presbyterian) and 3 of the top 10 ranked pediatric hospitals (including Boston Children’s Hospital) and is deployed in over 50 health care systems across the US. appliedVR was selected as the only therapeutic VR platform by Anthem as part of an innovative state Medicaid program. 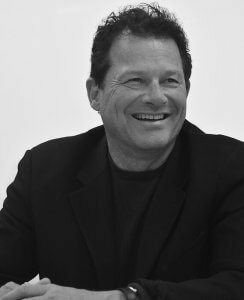 Prior to founding appliedVR, Matthew founded and built out the largest digital out of home media platform in the US, exiting to Verifone in 2014; launched multiple successful businesses as an Entrepreneur-in-Residence at McDonald’s Corporation; and began his career in investment banking and private equity. Matthew earned his MBA at Kellogg Graduate School of Business graduating with honors and his BA from Northwestern University. 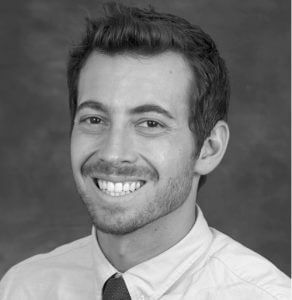 Matthew is passionate about making a difference and brings that passion to leveraging the unique attributes of VR to drive positive behavior change and solve some of health care’s most intractable problems. 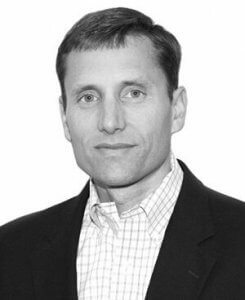 Dr. Tippett is the CEO of HealthCelerate, former Verizon Chief Medical Officer, and a recognized leader in health IT transformation, information security and regulatory compliance. 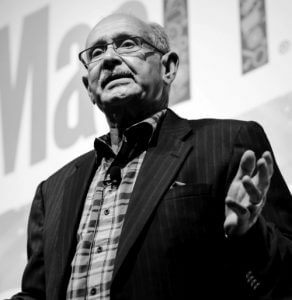 Among other technology start-ups, Tippett created the first commercial anti-virus product, which became Norton; founded TruSecure and CyberTrust and was Chairman of MD-IT. Tippett was a member of the President’s Information Technology Advisory Committee (PITAC) under G.W. Bush, which drove Health IT transformation policy, and served with both the Clinton Health Matters and the NIH Precision Medicine initiatives. He received the U.S. Chamber’s First Leadership in Health Care Award for his work to improve transparency and reward innovation through the modernization of the exchange of health information technology. He has been recognized by industry publications including InfoWorld, as one of the 25 most influential CTOs in 2002. Tippett was Research Assistant to R.B. Merrifield (Nobel Prize, 1984) and Stanford Moore (Nobel Prize, 1972) at Rockefeller University. He is a physician, board-certified in internal medicine with both Internal Medicine & Emergency Medicine practice history. He received both a PhD in biochemistry and an M.D., from Case Western Reserve University, and a bachelor’s degree in biology from Kalamazoo College. 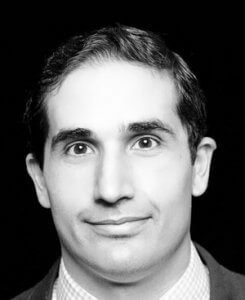 Dr. Vahabzadeh is the Chief Medical Officer at Brain Power, a neuroscience-based company focused on the development of augmented reality and data-driven technologies for autism and behavioral health. He is also faculty at Massachusetts General Hospital and Harvard Medical School. Dr. Vahabzadeh has trained in psychiatry, child psychiatry, and family medicine. He is an expert on the application of wearable, immersive, and digital therapeutics for brain disorders. He has over 20 national and international awards in medical research, leadership, and innovation, and was the youngest Council Chairman at the American Psychiatric Association. 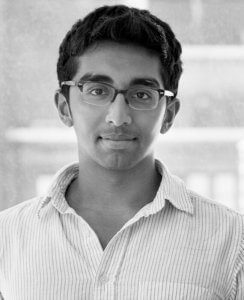 He is a 40 under 40 healthcare innovator, and has been described as one of the future leaders in psychiatry. Dr. Vahabzadeh has numerous publications in authoritative texts, and has been quoted or written for many media outlets including CNN, USAToday, Huffington Post, Boston Globe, and Nature. He is also the Innovation Officer at the Massachusetts General Hospital Psychiatry Academy, the largest educational and consulting service for mental health in nation. He is a senior mentor for Neurolaunch, the world's first neuroscience startup accelerator. Patrick is also spear-heading new business models in digital health solutions and services with a particular emphasis in remote patient monitoring, tele-health, social connectivity, habit design and reward models, with the intent of achieving scalable and definable health outcomes. Technology and channel partnerships are a key emphasis for this work and Patrick is lead for building and managing key channel and technology partners that will help the AHA move squarely into the lives of healthcare consumers (patients-caregivers-families), through a variety of different channels and mediums, with a focus on improving health understanding and outcomes – connecting people with their health, providers and with each other. 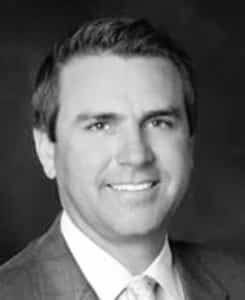 Patrick lives with his family in Dallas and holds a degree in Economics from the University of California, San Diego and an MBA from Vanderbilt University.